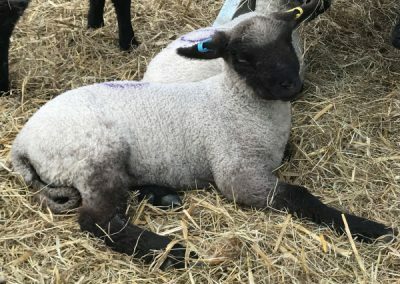 Shropshires have the unique ability to graze safely in conifer plantations and fruit orchards as, unlike other breeds, they do not strip bark and foliage from trees. In fact, this was the original reason we chose Shropshires as we had recently planted a small fruit orchard. 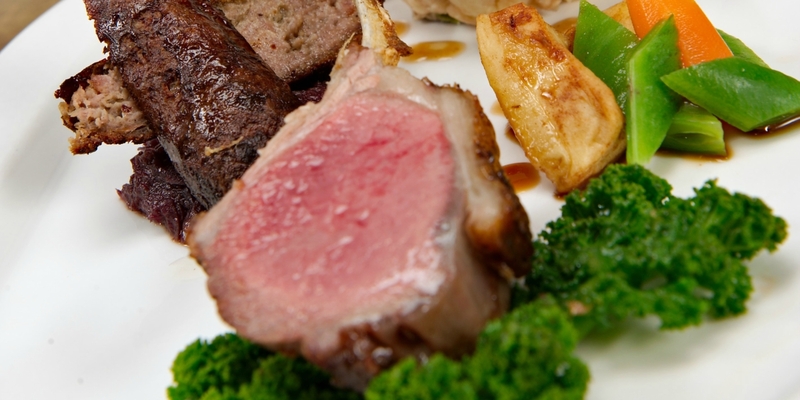 The meat from Shropshires, whether lamb, hogget or mutton is succulent, tender and full of flavour. It tastes like meat used to taste. 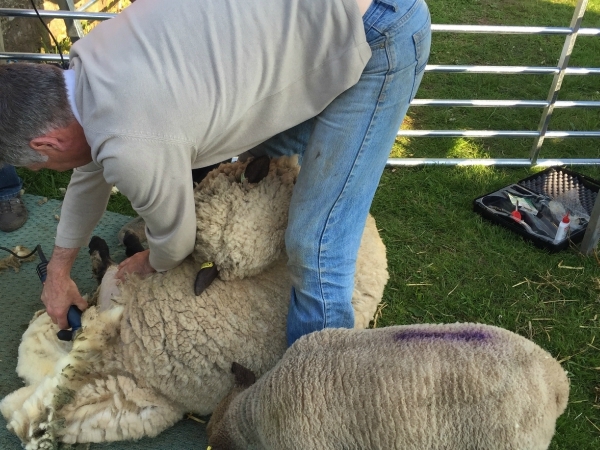 This can only be achieved by the way in which we raise our livestock. 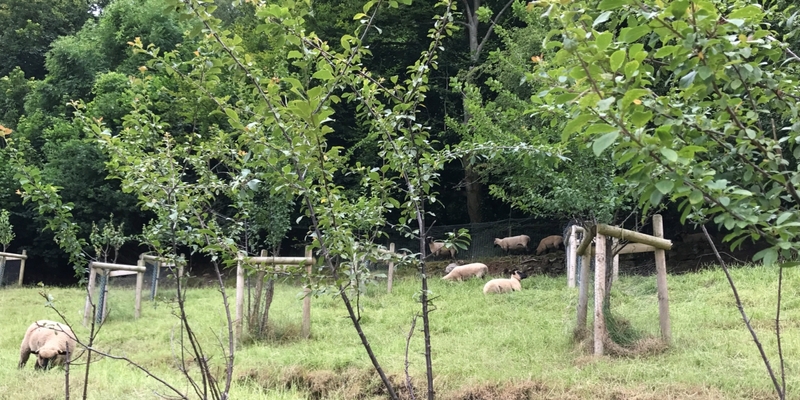 Our sheep grow naturally, grazing on grass in a beautiful rural setting. As stated by the Shropshire Sheep Breeders Society breeds don’t come back from being rare for no reason. 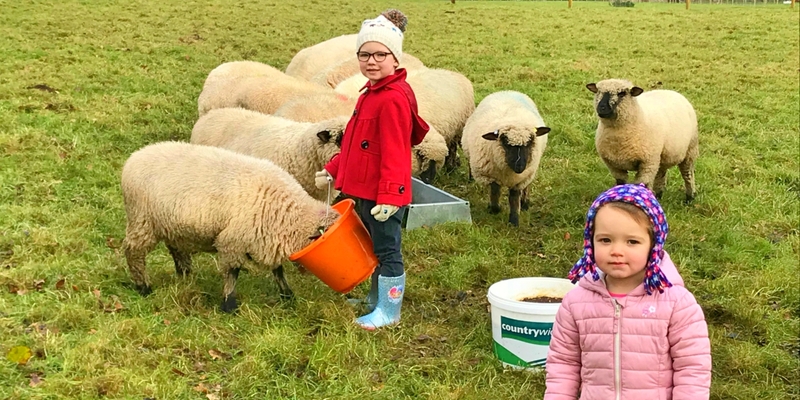 With the commercial farmer supplying the supermarket trade with fast-growing lean continental breeds, the Shropshire’s comeback is all about traditional values. 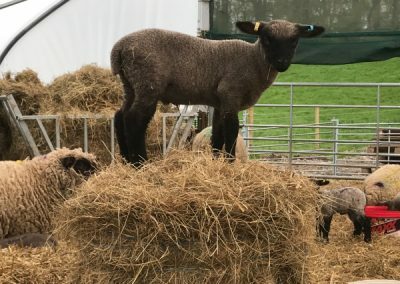 Shropshires provide an eating quality which is second to none. It is not only different, but better than the product found on the supermarket shelf. 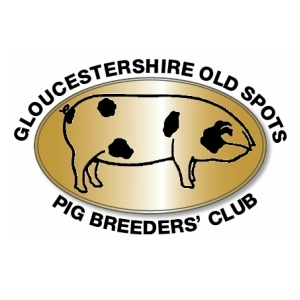 If you are looking to buy some of our delicious pork, lamb or beef to cook at home then get in touch today, you can also follow our the goings on behind the scenes on Instagram, Facebook and Twitter! 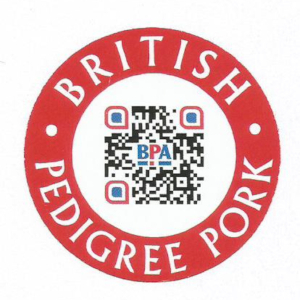 We work with pubs, restaurants and wholesalers to supply tasty pork, lamb and beef for their menus, ask for more details. 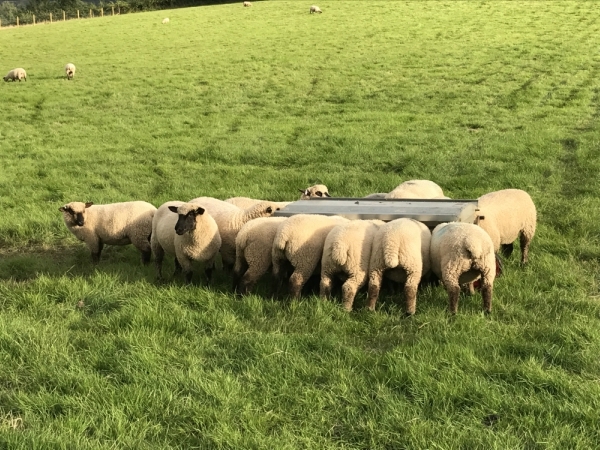 To ensure our breeding ewes’ optimum health, in addition to pasture they are offered ewe nuts both before tupping (being put to the ram), in early pregnancy and also pre and post lambing. 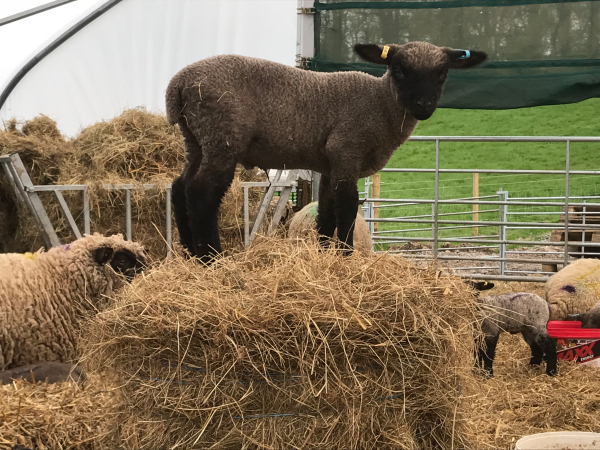 Our lambs are offered ad hoc “creep” (lamb pellets) in addition to their mother’s milk which provides them with additional minerals and vitamins for optimum health and takes some pressure off mum! 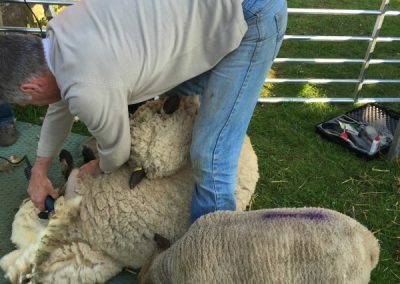 All our sheep are provided with vitamin licks throughout the year. 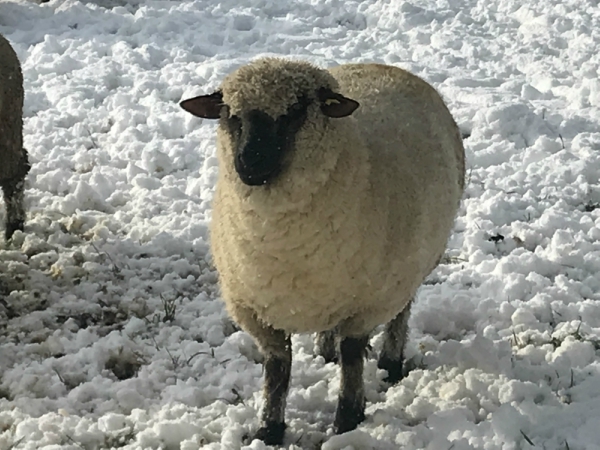 Whilst we strongly believe in outdoor grazing, we also strongly believe in protecting our livestock from both adverse weather and natural predators. We are their carers and it is our responsibility. 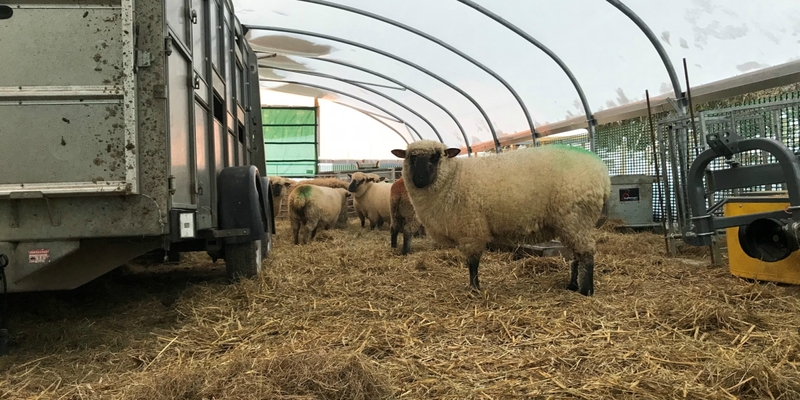 As such we prove indoor lambing facilities and also protection against the elements throughout the farming year when our sheep have access to indoor housing, fresh, dry bedding and hay as forage (which we cultivate throughout the year). 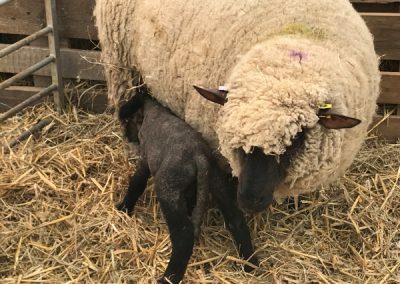 We, on the other hand, rough it during the lambing period! 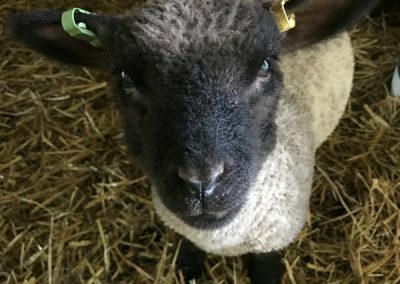 We keep a close eye on our flock, watching for any sign of difficulty or ill health. 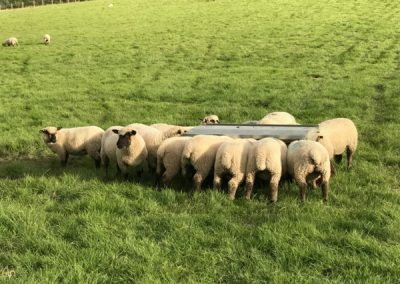 It is true that sheep believe the grass is greener on the other side! While sheep do sometimes get themselves in the most awkward of situations, it is not true however that they are stupid. 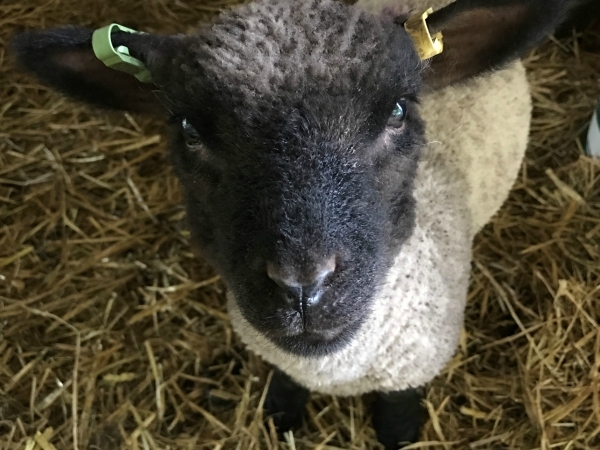 Sheep are, in fact, very intelligent – well ours are anyway (we’re biased of course!). They are alert and active. 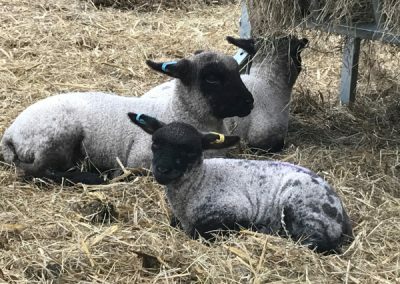 The Shropshires are pretty sheep with clean soft black faces, ears and legs. They are larger than most commercial breeds, broad and muscular and well fleshed. They are pink skinned, covered with dense, fine quality wool of good staple. The ewes are excellent mothers and lamb easily.